I'm sure y'all have all been on the absolute edge of your seats wondering what's been keeping me away lately. All things fabulous, of course. Just kidding. While I have managed to run a few kid-free errands and squeeze in a much needed coffee date or two with friends (or in my case a matcha latte date) most of my time has been spent at the office. In a cubicle. I'll be completely honest, my larger goal is to upgrade from the cube to an actual bonafide office but that takes time to earn it through good old fashion hard work, dedication, and sales transactions. But who says you can't make a cubicle pretty? I'm pretty sure that can only help motivate me to spend more time here and work harder! Don't be too impressed, this is all via the magic of photoshop. My cubicle actually looks like the photo below at this point. Lovely, right? I mean, I know I always talk about how I love my neutrals but this area needs some work. 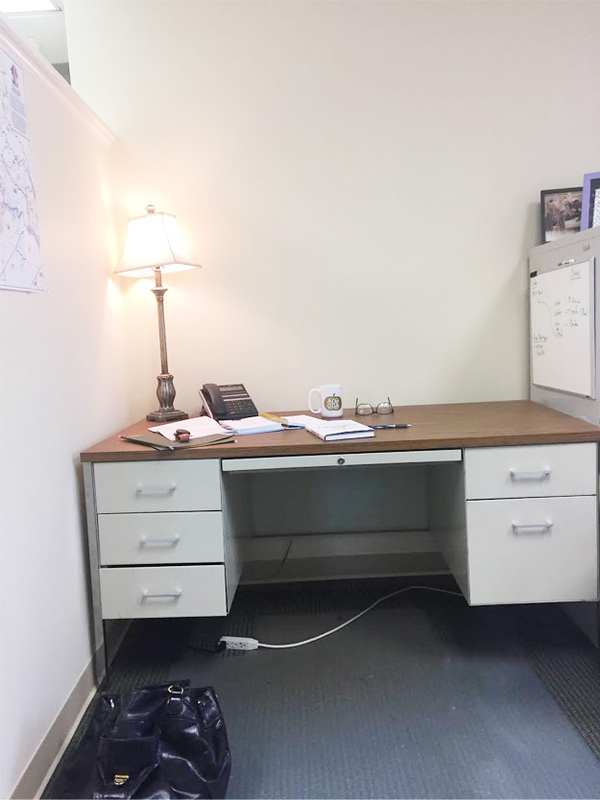 I see a blank slate and I'm dreaming up a few ways to freshen this little cubicle up to make it feel a bit more comfortable. People do that, right? 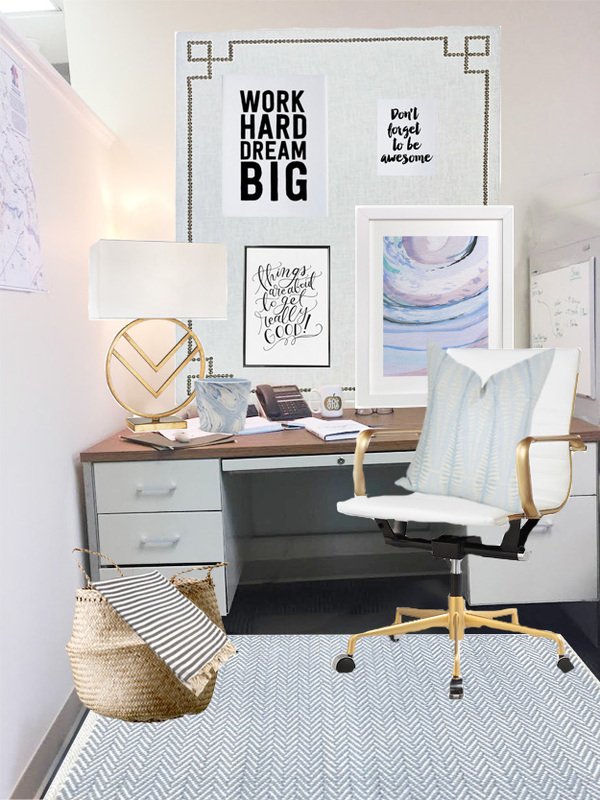 But thanks to the magic of photoshop and the power of internet shopping, y'all can envision along with me what this space could be like soon! I mean how much better is this? Who says a cubicle can't be amazing? I might just become a work-a-holic if I got to hang out here kid free all the time! Did I mention this space comes with no kids interrupting? Loving the rug and the lamp and I never met a basket I didn't like. I'm actually contemplating putting my two younger boys together in one room so I can create a dedicated office....you know, with a door so I can work uninterrupted...a mom can dream, right?? I have that exact rug, in that color way, in my infant son's room. It is adorable and soft, like all their rugs. Great choice - if I do say so myself! I have the bulletin board in my back entry and get sooo many compliments. Pretty way to display invitations and children's art. :) She did the best job and customized the back to be soft muslin so it can cover my electrical box.